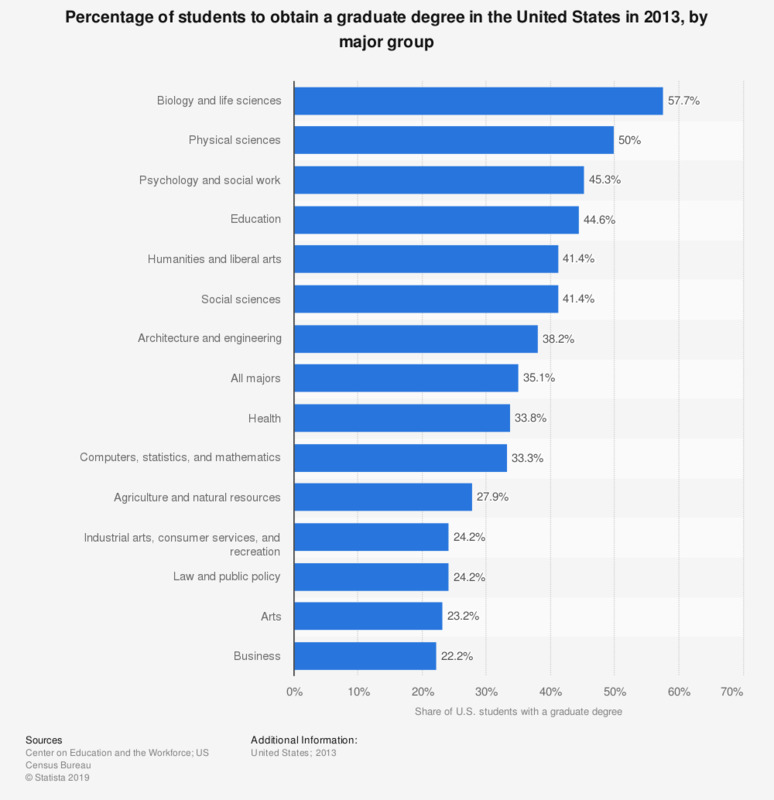 This statistic shows the percentage of students who went on to complete a graduate degree in their respective majors in the United States in 2013. Around 57.7 percent of biology and life science students went on to obtain a graduate degree. Moreover, 22.2 percent of business students went on the obtain a graduate degree in their field. Data was sourced from the American Community Survey.